Don’t get caught being Punk in Drublic, or is it drunk in public? Either way, Stone Brewing and NOFX are teaming up to make this thing happen (beer and hopefully not the drunk in public part). 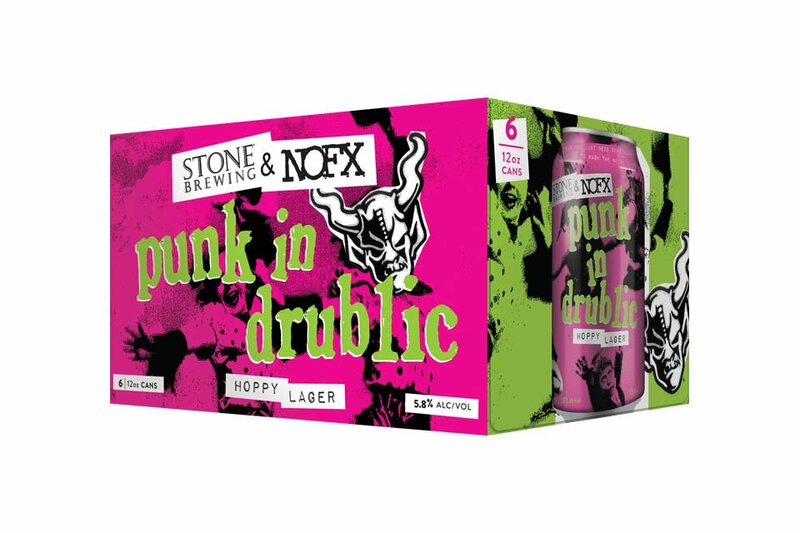 With NOFX going on their much anticipated Punk in Drublic fest it was only fitting to let the ultimate purveyors of craft beer actually brew the beer for you. Their collaboration hoppy lager has gone viral with punk rock beer enthusiasts demanding this craft beer hit their local liquor store shelves. Unfortunately, this isn’t going to be the case, but thanks to CraftShack a digital shelf (the internet) will have this beer available for online orders and shipping across the country. Pre-order the beer on it’s own, or purchase a special VIP package that includes a festival ticket, exclusive meet-and-greet and a six-pack of Punk in Drublic. Sounds like a party to us. Hopefully we get our hands on some of this and come back to this post to tell you how damn good it tastes.